Great over a white Tee or simple jumper. 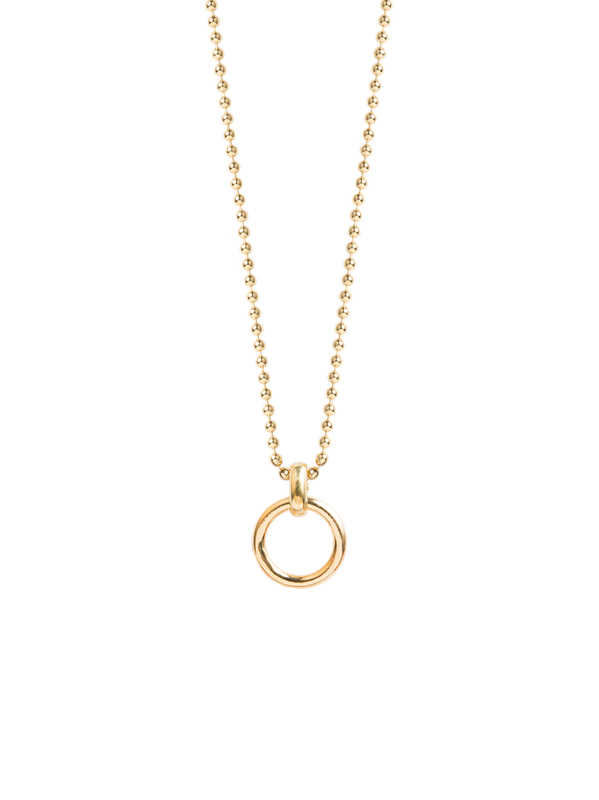 This really dinky eternity ring necklace will add a subtle touch of glamour to any outfit! 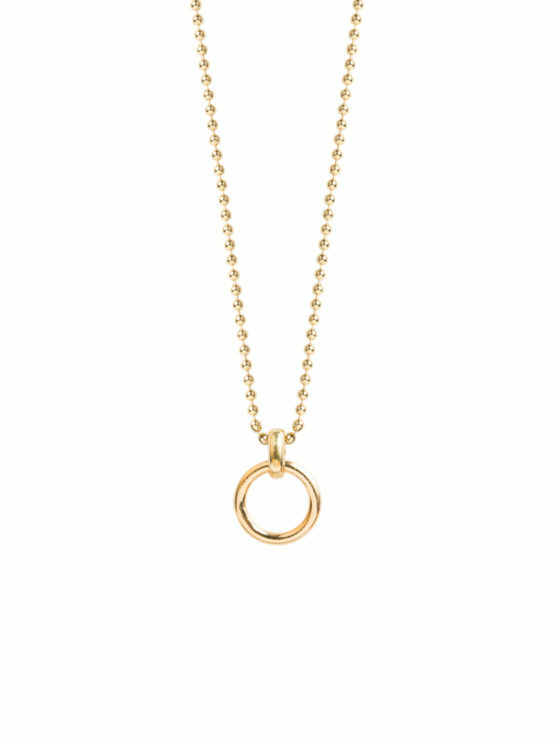 Both the ring (measuring 1.5cm in width and 1.75cm in length) and sterling silver chain have been gold plated in 23.5 K. We have a years guarantee on all our gold plated items so you don’t need to worry about any plating issues, we do recommend not to spray perfume directly onto the product and to avoid swimming and showering where at all possible while wearing the necklace.